Not what the actual power unit looks like. 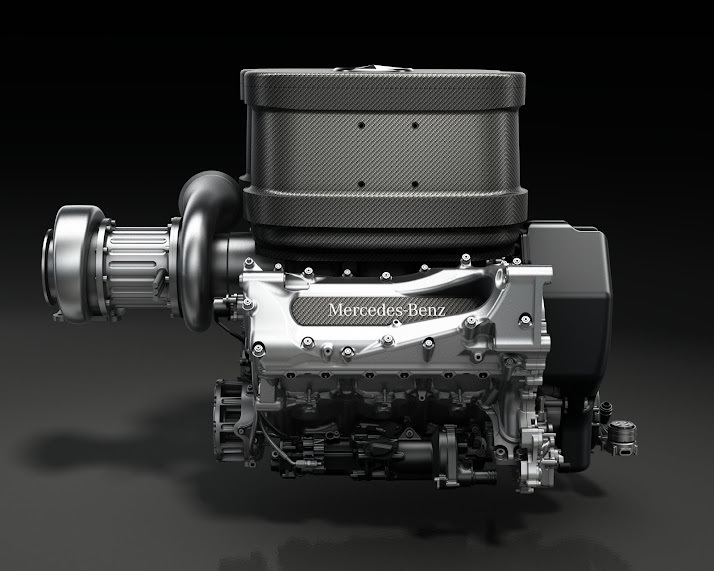 Mercedes-Benz might have created a revolutionary power unit that might even have a huge impact on future road cars. The idea is simple, so simple that no body has thought of it before! And due to the new regulations, other teams won't have the ability to copy Mercedes because there's an engine freeze before the season. And even if they could, it will take them a huge amount of time, since the new solution requires a lot of changes to the chassis and the aero of the car. I was going to explain the thing in my own words, but the Sky Sports video after the jump gets the job done so perfectly. It a snowball effect: split the turbo in half, cooler air through the compressor, smaller intercoolers, less turbo lag, more power, more efficiency, a more compact power unit, a relocated gearbox, a more balanced car, a more extreme packaging, less drag, better cornering, an unbeatable Mercedes! It's so interesting and so clever that it makes F1 make sense again. 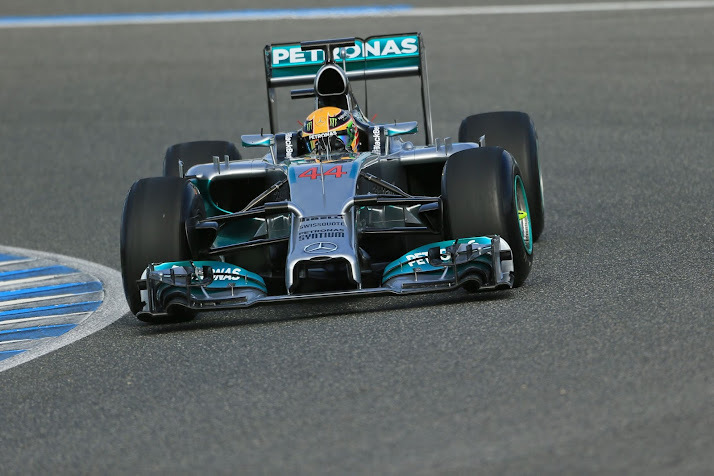 The remaining question is: will it be Nico or Lewis inside the championship winning car?